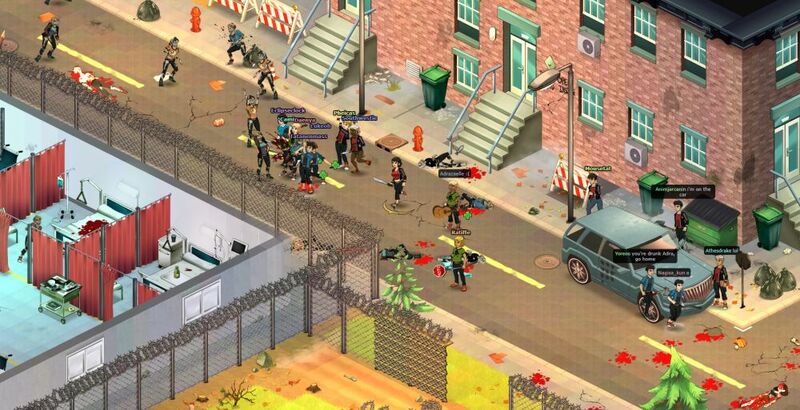 Dead Maze is a great looking zombie survival MMORPG available as a free to play game on Steam. Even though it has it’s own share of flaws, it’s actually a great game. And we’re here to help make it even better for you by sharing some Dead Maze cheats and tips in our complete strategy guide. This guide is mostly aimed at beginners, but veteran players might also find a useful thing or two here so it’s definitely worth reading. So let’s not waste any time and instead let’s check out some Dead Maze tips and tricks below! Nobody seems to tell you about these, but they are extremely important as they give you very nice rewards. So focus on completing them on a daily basis and don’t forget that you can refresh one per day in case it’s too difficult. In order to check out the daily quests, tap the Star icon at the top left side of the screen, above your avatar. What level up rewards to pick? Always go for the rewards that are permanent, like Passive skills or stat boosts. There is absolutely no point in getting food items or weapons, no matter how great they are. These will eventually disappear, while permanent stat boosts are… permanent. Also consider getting new crafting tables for your base as these are important too. Have in mind that you can only have 2 passive skills equipped at once, but you can change them at any time for no cost. So stay away from choosing weapons or food or even rarer items as rewards for leveling up! You’ll get these by playing the game anyway. How to check your Player’s stats? If you want to see all the active effects of your character, as well as your overall characteristics, tap your avatar. You will have all sorts of information listed there, including all boosts that you have unlocked. Where is the map in Dead Maze? Unfortunately, at the moment of writing this article, there is no map. The even worse thing is that sometimes the quest indicator under your character doesn’t work and you can end up pretty stuck. If that happens and you really can’t find your way around after hours of trying (hopefully that never happens), you have the option to suicide and get back to camp. You can do that by tapping your Avatar and choosing the option – but you will also lose all your items if you do so. So try not to get lost! That’s where you will get the chance to salvage goodies from the items you have picked up. However, not all items are salvageable (and you only find out which are when you get to your base camp). With a limited inventory in play, you should visit your base camp often – when it fills up. It doesn’t hurt to play for a while – especially early on – to collect materials and resources for all the crafting tables you have there in order to unlock them. They require a ton of resources and they are difficult to get, but it will happen eventually. The sooner you unlock them, the better it will be for you as you will be able to start crafting a lot of useful stuff. Some of the bosses in Dead Maze can only be killed if you team up with other players, so it’s a good idea to join a Tribe. Make sure that you have active people there, people who play the game when you do and team up with you in order to actually get something out of the missions you try to complete together. Can’t find a quest item? On most occasions, you should keep looking as they are randomly spawned in various places (unless otherwise noted). If you still can’t find, the server refresh time is 10PM so usually if you come back the other day, you will get the item you can’t find. But on most occasions, it’s just a matter of spending more time in the game until you finally get the item. For example, one of the early quests in the game asks you to find Food Bags – just search everything in sight and you will eventually start getting those: trash cans, sports bags, beds… they can be anywhere! In my opinion, faster weapons are much better than slower ones because they give you quick combo bonuses that you can easily take advantage of and still deal more damage in the long run than the slower ones do. There are ranged weapons in the game as well, like bows and pistols. These have limited uses in most cases, so make sure that you use them when they matter because they offer top advantages in the game! Early on – and for a long while afterwards – you should focus on completing the story missions. Take time every now and then to hoard items and build your crafting stuff at home… but otherwise work through completing the missions as the rewards will help you level up fast and you’ll also unlock special new items this way. Whenever you find a fire, that’s great news: you can rest there to restore your energy (which allows you to pick up items or use them). Fires are extremely important, but they need fuel. So always look at how much fuel is left and make sure to contribute to keeping them alive – because if they go down, a fire starting kit is required and that’s a bit more difficult to get. Also keep an eye on the fire in your camp: you’re the only one responsible for it, so make sure it always burns. It won’t wear off as time goes by, though, only when you use it for performing actions like cooking. Remember that the fuel used for the fire comes from items you collect – which are destroyed in the process. The energy in the game is extremely important because it allows you to eat or drink water and it is consumed by various in-game actions (like picking up items or interacting with them). Always keep an eye on it and find a fire camp when it’s starting to get low because you want it to be at maximium levels for as long as possible! These would be our Dead Maze tips and tricks for now. Do you have other strategies to share with fellow players? Let us know by sharing your comments below! Also, if you have questions about in-game stuff, let us know and we’ll gladly answer. And don’t forget to check back often as more guides for this game are coming soon! These are not cheats at all, if I wanted a Strategy guide, I would have looked up “Tips and Strategy Guide” but no, I looked up cheats, and i’m not seeing any cheats on this page.